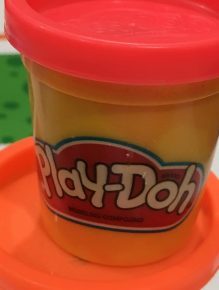 A Thought: Playing With PlayDough! Sometimes it might be a good idea to be as flexible in our connections or decisions as this fun stuff called play dough. What would it be like to enjoy all colors just the same? We are given the ability to ‘shape’ our lives to be most anything pleasing to God. In this Christmas season, engage in the colors, celebrate flexibility in your actions, and shape the possibilities as you are generous and kind to others. Have a ‘Play Dough’ kind of day!